We connect your sales staff to qualified prospects using a strategic multi-touchpoint approach that delivers more leads and higher quality leads. We believe in building businesses one qualified sales opportunity at a time. We start every campaign with the goal of establishing long term partnerships. We focus on delivering highly effective lead generation programs to fill your sales pipeline with qualified sales opportunities. We are known as an outsourced telemarketing specialist in complex business-to-business appointment setting. 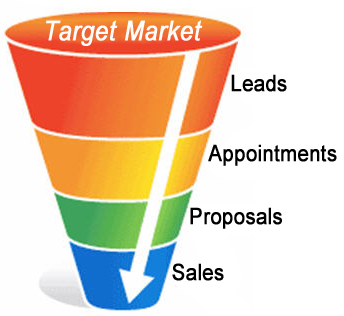 Our account lead generation process provides our clients with proprietary appointment setting programs. The result is a reliable, predictable and consistent new business development effort. We save you the time of calling 100’s of companies to find those that are sincerely interested in your business products and services. Many executives and decision makers are difficult to reach. Having a scheduled time to speak with them saves you from having to make repeated phone calls to connect with them and helps you quickly advance the sales cycle. This “actions speak louder than words” approach can act as an important qualification criteria to distinguish A-Leads from B-Leads. In general, if a prospect will not agree to allocate follow-up time to speak with a subject matter expert then the prospect’s purchasing needs for the product or service must not be too urgent. We have the experience, process and track record to build your sales pipeline. Our process is seamless. We work the way you work – no predictive dialers, no call scripts, quiet professional offices and an experienced team. We excel at identifying, connecting with, and engaging executive level decision makers in meaningful, two-way conversations to generate highly qualified sales leads and sales appointments. Give us a call to discuss an affordable, productive program to fill your sales pipeline with new client sales opportunities.